I’m not great at identifying shells. 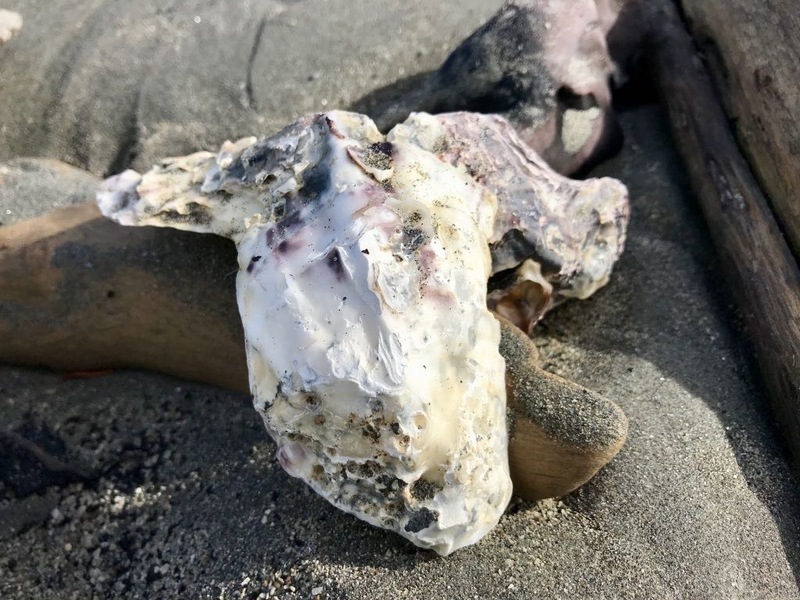 This is not a sheep’s head, but 3 rock oysters (probably) stuck together. 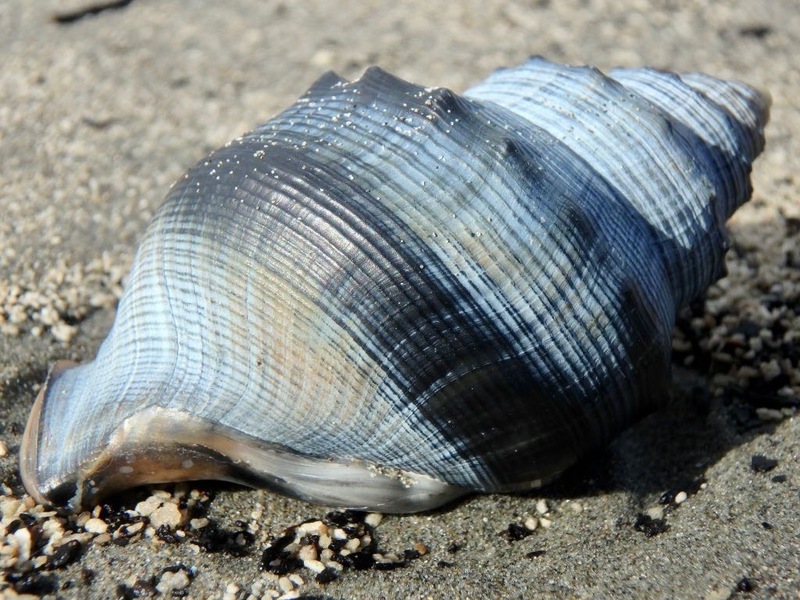 Then there’s the grey and blue one — could be a whelk. Most similar shells on our beach are red in hue.